Have your existing employees help you in hiring the best talent. Jobsoid offers you a referral portal to help your employees recommend best candidates to you. All the jobs that are published on Jobsoid will be made available for your employees to refer candidates. This includes internal job postings as well. This is the link to your candidate referral portal. You can enable or disable your referral portal according to your requirements. 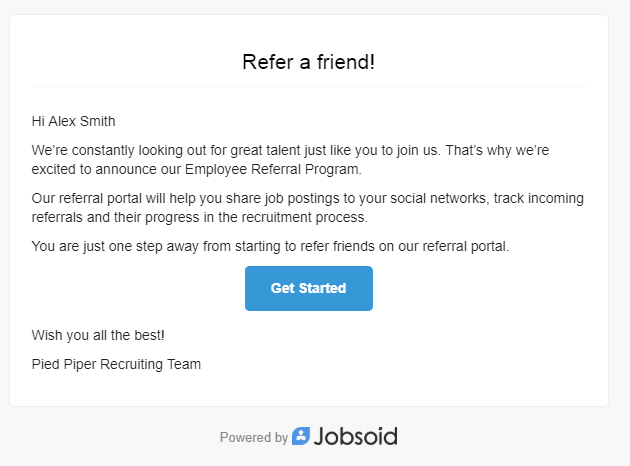 Jobsoid offers you complete control over who signs up for your candidate referral program. You should list down the email domains in the below text box to allow their registrations. This section gives you a list of your employees who have registered for your referral program. You can also invite your employees to sign up. 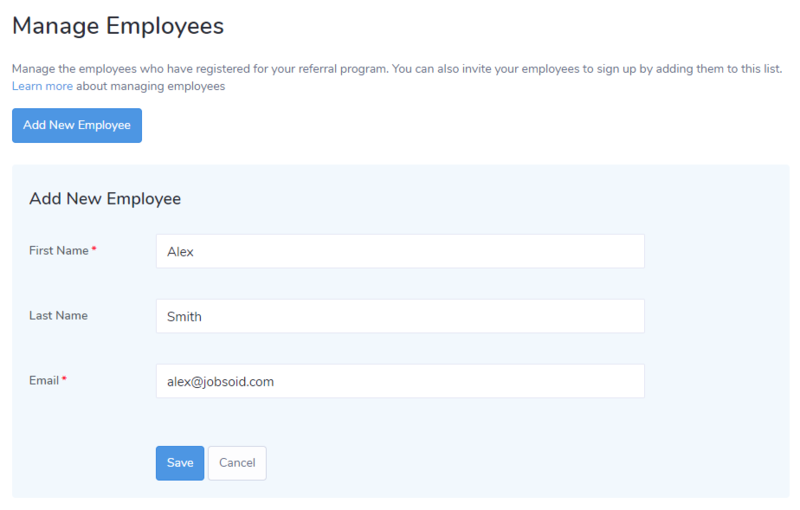 Jobsoid will automatically send an email inviting the employee to register for the referral program.